Citation Information: JCI Insight. 2016;1(18):e88207. https://doi.org/10.1172/jci.insight.88207. Systemic mitochondrial energy deficiency is implicated in the pathophysiology of many age-related human diseases. Currently available tools to estimate mitochondrial oxidative phosphorylation (OXPHOS) capacity in skeletal muscle in vivo lack high anatomic resolution. Muscle groups vary with respect to their contractile and metabolic properties. Therefore, muscle group–specific estimates of OXPHOS would be advantageous. To address this need, a noninvasive creatine chemical exchange saturation transfer (CrCEST) MRI technique has recently been developed, which provides a measure of free creatine. After exercise, skeletal muscle can be imaged with CrCEST in order to make muscle group–specific measurements of OXPHOS capacity, reflected in the recovery rate (τCr) of free Cr. In this study, we found that individuals with genetic mitochondrial diseases had significantly (P = 0.026) prolonged postexercise τCr in the medial gastrocnemius muscle, suggestive of less OXPHOS capacity. Additionally, we observed that lower resting CrCEST was associated with prolonged τPCr, with a Pearson’s correlation coefficient of –0.42 (P = 0.046), consistent with previous hypotheses predicting that resting creatine levels may correlate with 31P magnetic resonance spectroscopy–based estimates of OXPHOS capacity. We conclude that CrCEST can noninvasively detect changes in muscle creatine content and OXPHOS capacity, with high anatomic resolution, in individuals with mitochondrial disorders. Citation Information: JCI Insight. 2016;1(18):e88646. https://doi.org/10.1172/jci.insight.88646. Emerging evidence indicates that upregulation of the ER stress–induced pro-osteogenic transcription factor ATF4 plays an important role in vascular calcification, a common complication in patients with aging, diabetes, and chronic kidney disease (CKD). In this study, we demonstrated the pathophysiological role of ATF4 in vascular calcification using global Atf4 KO, smooth muscle cell–specific (SMC-specific) Atf4 KO, and transgenic (TG) mouse models. Reduced expression of ATF4 in global ATF4-haplodeficient and SMC-specific Atf4 KO mice reduced medial and atherosclerotic calcification under normal kidney and CKD conditions. In contrast, increased expression of ATF4 in SMC-specific Atf4 TG mice caused severe medial and atherosclerotic calcification. We further demonstrated that ATF4 transcriptionally upregulates the expression of type III sodium-dependent phosphate cotransporters (PiT1 and PiT2) by interacting with C/EBPβ. These results demonstrate that the ER stress effector ATF4 plays a critical role in the pathogenesis of vascular calcification through increased phosphate uptake in vascular SMCs. Citation Information: JCI Insight. 2016;1(18):e89590. https://doi.org/10.1172/jci.insight.89590. The islet in type 2 diabetes (T2D) shares many features of the brain in protein misfolding diseases. There is a deficit of β cells with islet amyloid derived from islet amyloid polypeptide (IAPP), a protein coexpressed with insulin. Small intracellular membrane-permeant oligomers, the most toxic form of IAPP, are more frequent in β cells of patients with T2D and rodents expressing human IAPP. β Cells in T2D, and affected cells in neurodegenerative diseases, share a comparable pattern of molecular pathology, including endoplasmic reticulum stress, mitochondrial dysfunction, attenuation of autophagy, and calpain hyperactivation. While this adverse functional cascade in response to toxic oligomers is well described, the sequence of events and how best to intervene is unknown. We hypothesized that calpain hyperactivation is a proximal event and tested this in vivo by β cell–specific suppression of calpain hyperactivation with calpastatin overexpression in human IAPP transgenic mice. β Cell–specific calpastatin overexpression was remarkably protective against β cell dysfunction and loss and diabetes onset. The critical autophagy/lysosomal pathway for β cell viability was protected with calpain suppression, consistent with findings in models of neurodegenerative diseases. We conclude that suppression of calpain hyperactivation is a potentially beneficial disease-modifying strategy for protein misfolding diseases, including T2D. Citation Information: JCI Insight. 2016;1(18):e89620. https://doi.org/10.1172/jci.insight.89620. BACKGROUND. Pulmonary hypertension (PH) is associated with poor outcomes, yet specific treatments only exist for a small subset of patients. The most common form of PH is that associated with left heart disease (Group 2), for which there is no approved therapy. Nitrite has shown efficacy in preclinical animal models of Group 1 and 2 PH, as well as in patients with left heart failure with preserved ejection fraction (HFpEF). We evaluated the safety and efficacy of a potentially novel inhaled formulation of nitrite in PH-HFpEF patients as compared with Group 1 and 3 PH. METHODS. Cardiopulmonary hemodynamics were recorded after acute administration of inhaled nitrite at 2 doses, 45 and 90 mg. Safety endpoints included change in systemic blood pressure and methemoglobin levels. Responses were also compared with those administered inhaled nitric oxide. RESULTS. Thirty-six patients were enrolled (10 PH-HFpEF, 20 Group 1 pulmonary arterial hypertension patients on background PH-specific therapy, and 6 Group 3 PH). Drug administration was well tolerated. Nitrite inhalation significantly lowered pulmonary, right atrial, and pulmonary capillary wedge pressures, most pronounced in patients with PH-HFpEF. There was a modest decrease in cardiac output and systemic blood pressure. Pulmonary vascular resistance decreased only in Group 3 PH patients. There was substantial increase in pulmonary artery compliance, most pronounced in patients with PH-HFpEF. CONCLUSIONS. Inhaled nitrite is safe in PH patients and may be efficacious in PH-HFpEF and Group 3 PH primarily via improvements in left and right ventricular filling pressures and pulmonary artery compliance. The lack of change in pulmonary vascular resistance likely may limit efficacy for Group 1 patients. FUNDING. This work was supported in part by the NIH grants 2P01HL103455 (to MAS and MTG), R01HL098032 (to MTG), and R01HL096973 (to MTG), and Mast Therapeutics, Inc.
Citation Information: JCI Insight. 2016;1(18):e88198. https://doi.org/10.1172/jci.insight.88198. The stasis of mucus secretions in the lungs of cystic fibrosis (CF) patients leads to recurrent infections and pulmonary exacerbations, resulting in decreased survival. Prior studies have assessed the biochemical and biophysical features of airway mucus in individuals with CF. However, these measurements are unable to probe mucus structure on microscopic length scales relevant to key players in the progression of CF-related lung disease, namely, viruses, bacteria, and neutrophils. In this study, we quantitatively determined sputum microstructure based on the diffusion of muco-inert nanoparticle probes in CF sputum and found that a reduction in sputum mesh pore size is characteristic of CF patients with reduced lung function, as indicated by measured FEV1. We also discovered that the effect of ex vivo treatment of CF sputum with rhDNase I (Pulmozyme) on microstructure is dependent upon the time interval between the most recent inhaled rhDNase I treatment and the sample collection. Microstructure of mucus may serve as a marker for the extent of CF lung disease and as a parameter for assessing the effectiveness of mucus-altering agents. Citation Information: JCI Insight. 2016;1(18):e89278. 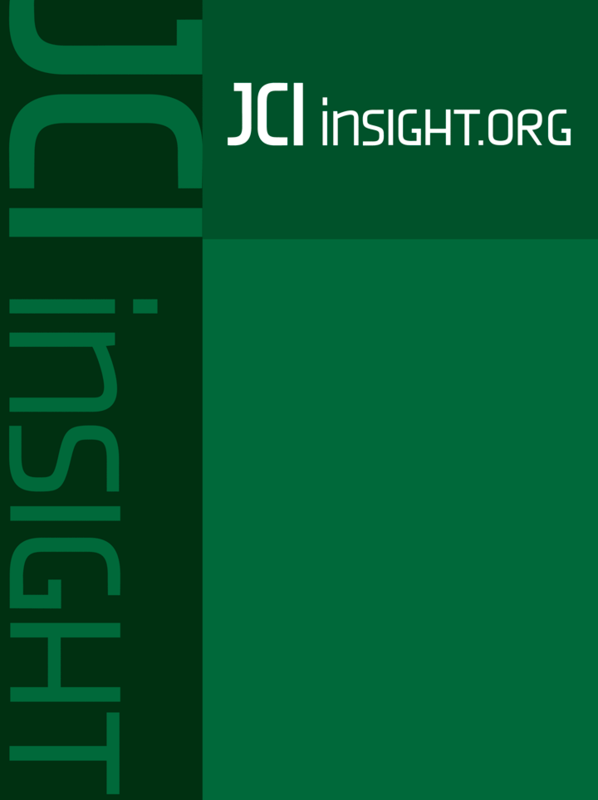 https://doi.org/10.1172/jci.insight.89278. CD4+ regulatory T cells (CD4Tregs) play a critical role in the maintenance of immune tolerance and prevention of chronic graft-versus-host disease (GVHD) after allogeneic hematopoietic stem cell transplantation. IL-2 supports the proliferation and survival of CD4Tregs and previous studies have demonstrated that IL-2 induces selective expansion of CD4Tregs and improves clinical manifestations of chronic GVHD. However, mechanisms for selective activation of CD4Tregs and the effects of low-dose IL-2 on other immune cells are not well understood. Using mass cytometry, we demonstrate that low concentrations of IL-2 selectively induce STAT5 phosphorylation in Helios+ CD4Tregs and CD56brightCD16– NK cells in vitro. Preferential activation and expansion of Helios+ CD4Tregs and CD56brightCD16– NK cells was also demonstrated in patients with chronic GVHD receiving low-dose IL-2. With prolonged IL-2 treatment for 48 weeks, phenotypic changes were also observed in Helios– CD4Tregs. The effects of low-dose IL-2 therapy on conventional CD4+ T cells and CD8+ T cells were limited to increased expression of PD-1 on effector memory T cells. These studies reveal the selective effects of low-dose IL-2 therapy on Helios+ CD4Tregs and CD56bright NK cells that constitutively express high-affinity IL-2 receptors as well as the indirect effects of prolonged exposure to low concentrations of IL-2 in vivo.